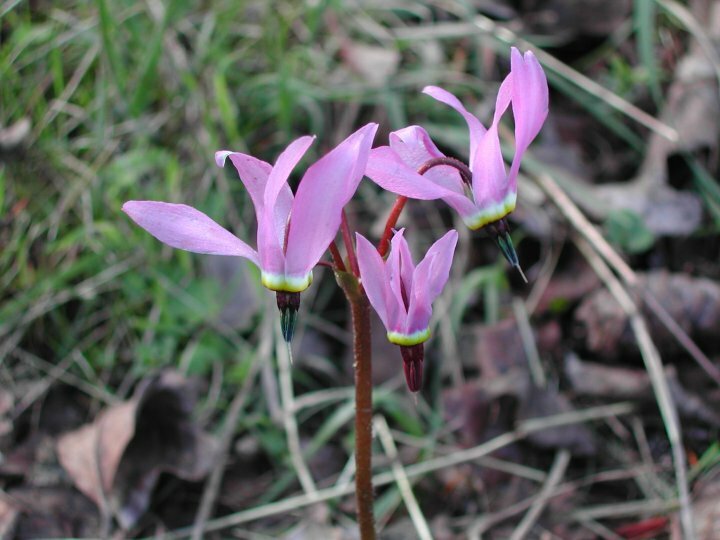 I spent the day bringing bad news to the shooting stars…you know those incredibly beautiful delicate spring flowers that thrive in a healthy Garry Oak ecosystem. They are at their most vulnerable time, having just gone through the winter, pushed their leaves out through the wet earth and leaf litter, with their flower buds just days away from opening in a most amazing display. This morning I was out carefully excavating a few native plants for the living roof on the new chicken coop. Plants that have poked through on our few paths that venture into the relatively untouched areas that we share with all the others. The neighbours, good people who we are quite friendly with decided it was time to fix their fence on a point of their land that juts into the land we love and call home. There is no reason for this fence other than to mark their territory. So the trampling began, with this elderly couple, their three grandsons, and my dad. I tried to respectfully explain that these beautiful flowers were very vulnerable and are part of an endangered ecosystem. No one cared!…the fence needed to be fixed…it was unfortunate they said. I tried to dig some up, while the feet were squishing and twisting around me, but ending up leaving in tears. I went and sat with the chickens; they surrounded me and began to preen their feathers. I later went back to the damaged site. The flowers spoke to me. They said their leaves were damaged and separated from their bulbs; they were hungry and knew that they would not flower this year to reproduce. They also wondered if they could manage the energy to send out new leaves; they were already tired after working so hard to make their leaves and flowers. One of the younger smaller and more vulnerable bulbs asked about the possibility of a class action lawsuit to sue for damages. I sadly explained that under our laws they had no rights and could not sue. The elder bulb then spoke up with a wisdom passed down from bulb to bulb over 1,000,000 years and said, “Corporations have rights, why don’t we all get together and form a legal entity so that we have rights, and then we can sue”. We have simple needs for food and water and a tiny bit of land. Initially all the bulbs thought this was a brilliant idea and asked me to help. I sadly had to inform them that Shooting Star bulbs cannot own shares of a corporation. Their species has no value to humans and unless they can figure out a way to convince the entire human population that other forms of life are equal and have rights they will have no future. I left the bulbs to mull this over and last I heard they are spreading the word underground through an extensive mycelium network. Fungi are the internet of the others. The mycelium have agreed to share resources through a mycorrhizal symbiotic relationship they have with the trees to hopefully give the shooting stars enough food to survive. In the meantime the fungi are spreading the word. The others are sending out the message to all living creatures that they need to fight back. they will no longer be stepped upon by our excessively heavy footprint. I have agreed to help them out on the human front, so please let me know when the fungi message has reached the land where you live. This entry was posted in Articles and tagged love, nature, rants. Bookmark the permalink. We really enjoyed your reasoning with the Dodecatheons. This is the true situation we are afraid on this beautiful west coast! Like you, we also battle almost daily to draw peoples’ attention to the wonderful natural living organisms around them which give quality to all our lives. Just as you explain, unless these organisms have a monetary value to humans – they are of no consequence. Sad, but this is the reality in which we find ourselves today. We fully understand your feelings. Ironic that humans put themselves at the top of the value pyramid because nothing else has “feelings”. And yet,save for a few, most live so cruelly on the land. PS Ann there is an amazing glade in the Crowsnest Pass that has a colony of white flowered Dodecatheons.In a few months they’ll spring up like lovely fairies dancing around a May pole.